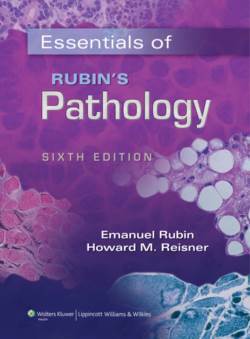 Essentials of Rubin's Pathology, Sixth Edition, is a condensed version of the main title, Rubin's Pathology, 6e. Targeted to students in allied health fields, including dentistry, nursing, physical therapy, physician assistant, chiropractic, and occupational therapy, Essentials of Rubin's Pathology follws the same format as Rubin's Pathology, covering principles and mechanisms of pathology in the first section and organ-specific pathology in the second section. Essentials extracts key information on pathogenesis, epidemiology, and clinical features of diseases. Illustrations -- whether schematic or photographic -- are also all derived from the main text. A companion Website will offer the fully searchable online text, case studies, audio review questions, Podcasts, and an image bank and test generator for faculty.